September 2011—Nonprofit organizations often operate on shoestring budgets, especially when they’re just starting out. So when one-year-old nonprofit recording studio The Record Company found its space in a local youth center flooded, it was a huge blow. The Record Company provides youth programming to teach sound recording skills to teens who are interested in the industry and offers studio space at very affordable rates to the local music community. They were off to a strong start, but “the flood destroyed everything we owned,” said Matthew McArthur, the organization’s president. Recognizing that the space was bound to flood again, they decided to move, and Matt found some affordable digs on Mass. Ave. in Boston near Newmarket Square. But serious renovation was needed—the space had been a rubber stamp factory for 40 years, and a meatpacking facility before that. Happily, Matt heard about the Reuse Center at Boston Building Resources from Kevin Cradock Woodworking, which has a workshop one floor below. Where the woodworkers had donated leftover materials, Matt could hunt for the supplies he needed to keep renovation costs to a minimum. Windows were Matt’s main acquisition. “Acoustical windows can cost $5,000 each,” he said. Prices at the Reuse Center ranged from $40 each to free. He got creative with two trapezoidal gable windows, installing them back to back to create a single acoustical-quality fixed window between the recording space and a conference room. This trapezoidal window was originally two fixed windows, installed back to back for a soundproof opening. The Record Co.'s large studio includes many windows from the Reuse Center. 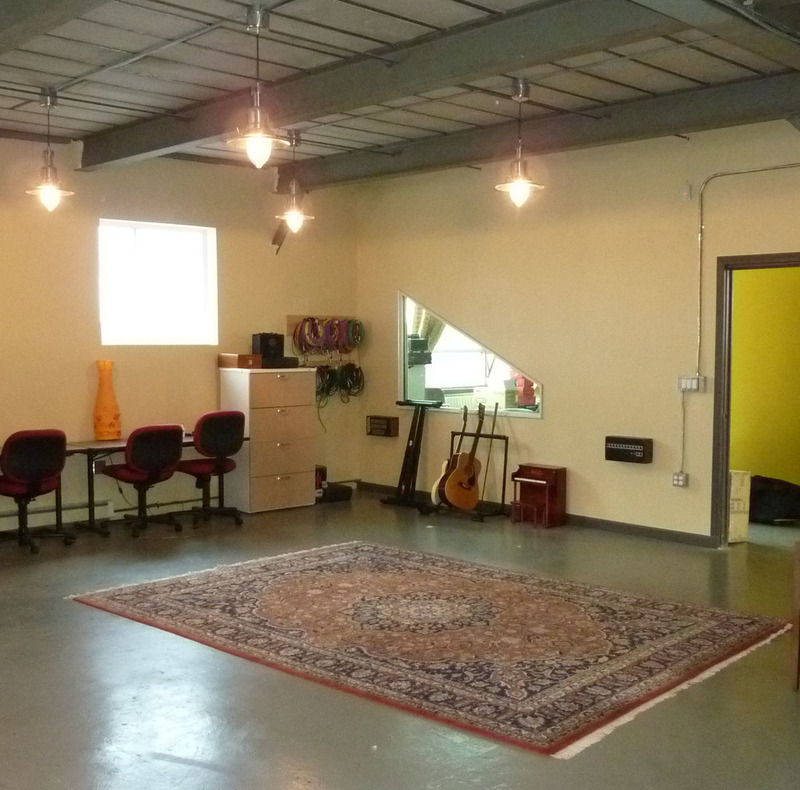 The nonprofit studio provides recording space for emerging musicians and a place where youth can learn sound engineering skills. These windows are Reuse Center finds. The bathroom sink, faucet, and fixtures are Reuse Center finds. A light fixture designed to top a lamppost hangs upside down, lighting the way for visitors as they come up the stairs. “The artist community loves reuse,” Matt said, and they appreciate seeing the way materials have been adapted and used in the studio. Today, recording has resumed, and soon youth programming will start up again full-force. Whether on a shoestring or a guitar string, The Record Company is back in session.